INDUSTRY.co.id - Jakarta - After being banned for 16 years,the government is considering opening taps for log exports or logs. The reason is to lift the price of that commodity that falls in the local market. 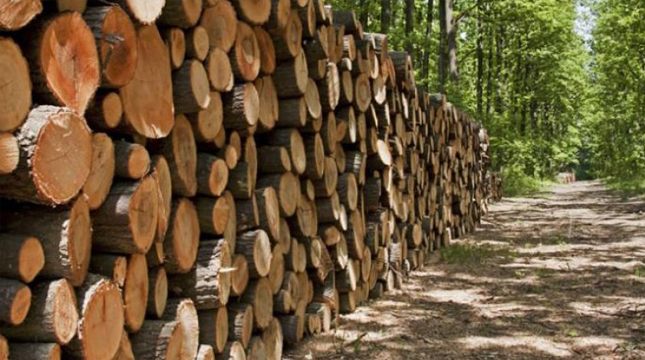 Secretary General of the Ministry of Environment and Forestry (KLHK) Bambang Hendroyono said the idea of ​​revoking the ban on log exports has been communicated to several ministries / institutions. According to him, log shipments cannot be postponed again if you look at current developments. "The Minister of Environment and Forestry of Siti Nurbaya has also conveyed to the Coordinating Minister for Economic Affairs, but the principle is agreed, but it is certainly guaranteed not to interfere," he said. He proposed that enough quota of 10% of Indonesia's log production potential of about 9 million cubic meters. Bambang said Perum Perhutani's revenue has decreased for the last 6 months because A3 wood is not sold. To boost demand, the state-owned forestry company put up a discount until the price dropped to Rp4 million-Rp6 million per cubic meter from Rp14 million-Rp25 million originally. He hopes that log trade will be able to enter into Indonesia Timber Exchange (ITE-E Commerce System). Bambang admitted the idea has been submitted to the Ministry of Commerce. The export of logs was banned in 2001 through an agreement between the Minister of Forestry Zulkifli Hasan and the Minister of Industry and Trade Rini Sumarno, with consideration often made by illegal loggers and illicit trafficking that disturb forest sustainability.